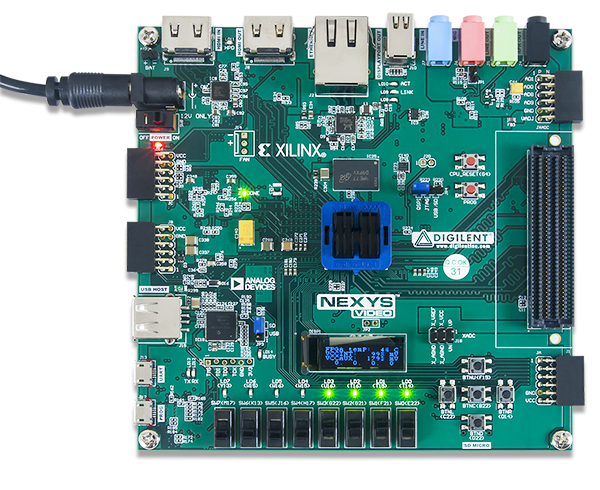 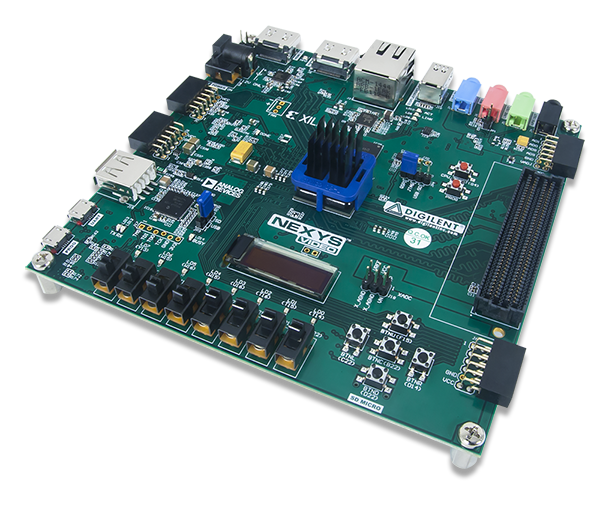 The Nexys Video board is a complete, ready-to-use digital circuit development platform based on the latest Artix-7™ Field Programmable Gate Array (FPGA) from Xilinx®. 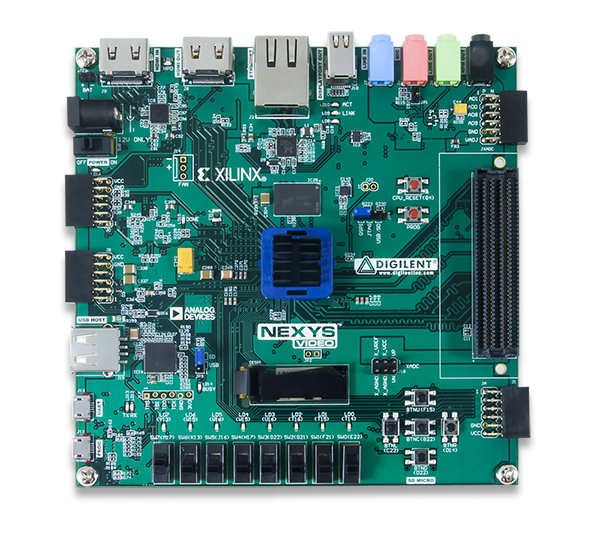 With its large, high-capacity FPGA (Xilinx part number XC7A200T-1SBG484C), generous external memories, high-speed digital video ports, and 24-bit audio codec, the Nexys Video is perfectly suited for audio and video processing applications. 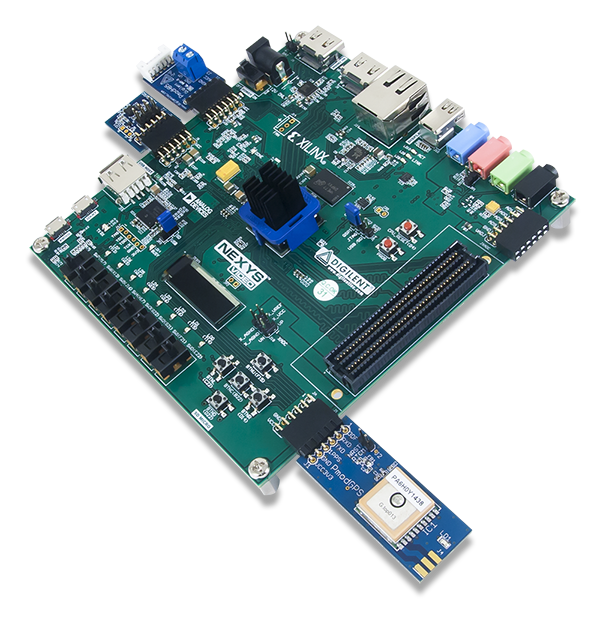 Several built-in peripherals, including Ethernet, USB-UART, and a high bandwidth USB data transfer protocol, expand the connectivity of the Nexys Video so that it can be cleanly integrated as a single component of a large system. 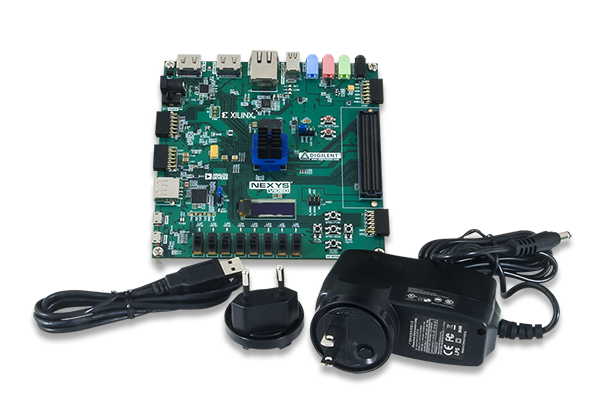 The Nexys Video also includes provisions for direct human interaction with a connector for USB-HID devices, an OLED Display, and a vast assortment of switches, buttons, and LEDs. 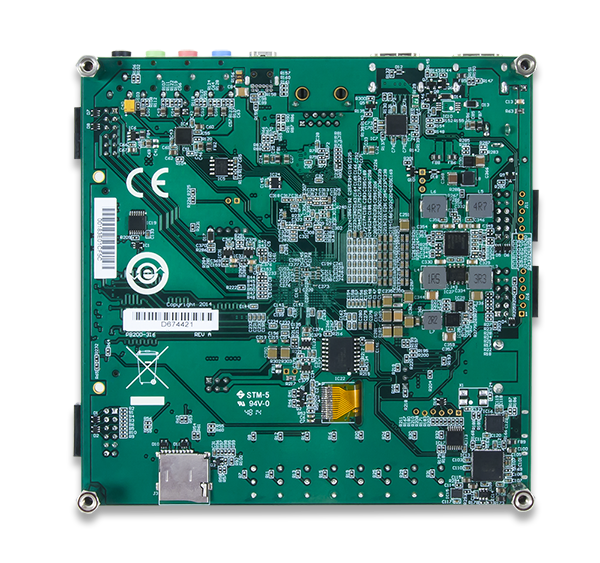 Lastly, the FMC and Pmod ports can be used to add virtually any functionality or connection interface your application demands.